Gah! Upgrading to Breezy has made my mail client significantly less stable. Where do I even start reporting the bugs involved in this screenshot. The initial application crash? 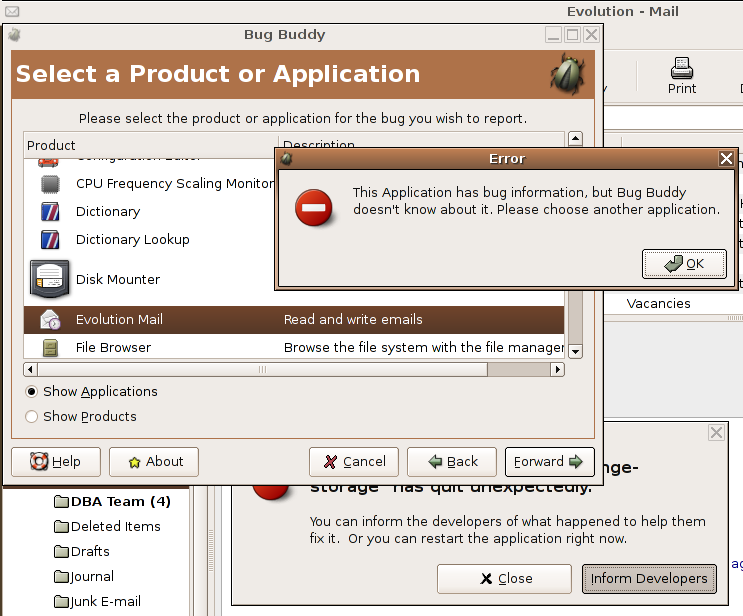 The bug reporting software being crap? The idiotic error message from the bug reporting software?